My Mother made the ceramic cookie jar on the left. My Father was with The Ramsey Co. Sheriff Dept. for a number of years and I got him the Cookie Cop cookie jar as a gag gift. Both are gone now, but the cookie jars are still on the job. 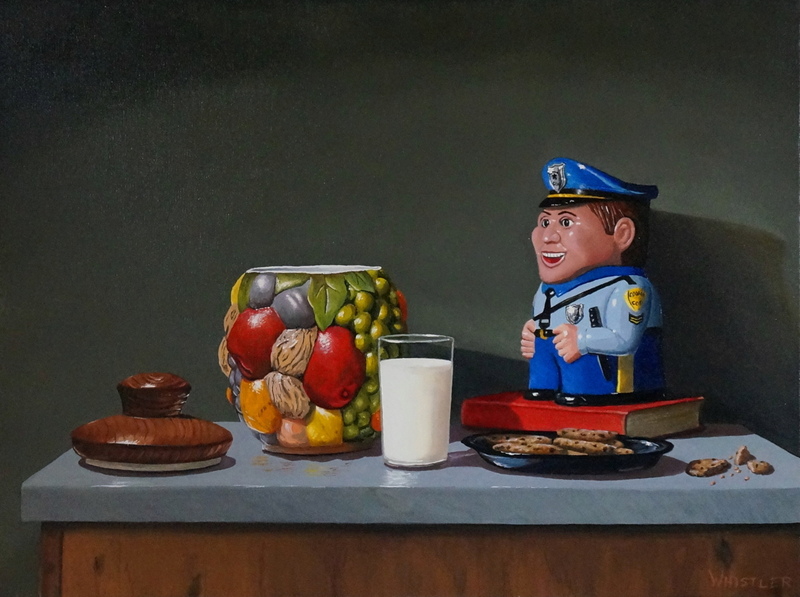 A lot of good cookies gave their lives during the production of this painting. 5" x 6.75"7" x 9.5"9" x 12"11" x 14.75"12.75" x 17"